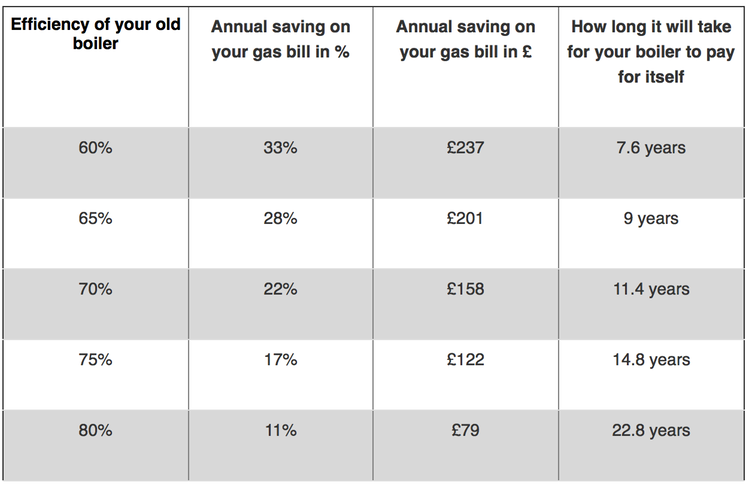 How long it will take to make back the cost of a new boiler in savings? While piece of mind is vital when it comes to buying a boiler, the key question many of us face when assessing whether an upgrade is worthwhile is how long will it take to pay for itself. If you decide to install a new boiler in the place of an old energy-inefficient one, you can expect to save some money on your gas bills. The boiler installation costs or boiler replacement costs are likely to be significantly outweighed by the savings you are in line to make. We've pulled together the most important variables to give you an idea of how much you could save below. The calculations above are based on a home with gas-powered central heating, using an average 17252 kWh gas p/a at a cost of £666 p/a. It's also worth bearing in mind that a new boiler could also add to the value of your home, so take this into consideration when you're looking at boiler prices. 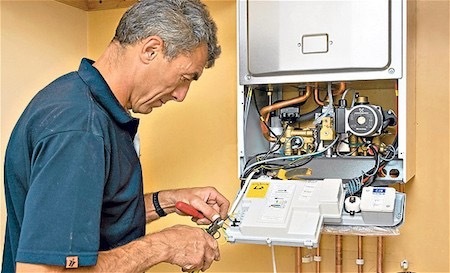 If your boiler is G-rated for energy efficiency, replace it. You can find out the energy efficiency rating of your boiler at www.boilers.org.uk.